Phyllis June Campbell was born on October 27, 1931 in Barberton, Ohio to Everett Earl and Effie Latta Campbell. The family moved to Clinton, Ohio in 1935.. After graduation from Clinton High School, she worked at Babcock & Wilcox for a short time as a secretary. Most of her adult life, she was employed by the Northwest Local School District, primarily as a secretary at Clinton School. She married the love of her life, Duane Louis Smith, on June 19, 1953. They met on a blind date and spent 57 loving years together. 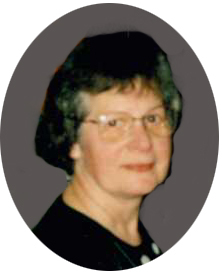 Phyllis was a lifelong member of Trinity Lutheran Church in Clinton where she was involved in Ladies Aid, Missionary Society and taught Sunday School. She held the church and members close to her heart. Phyllis loved cooking for family and friends, reading, traveling, dining-out and going to Akron Zips basketball games. She was preceded in death by her husband, Duane Smith and brothers, Everett Campbell Jr. and James Campbell. Phyllis is survived by children: Michael (Mary) Smith of Clinton, Scott (LeaAnn) Smith of Coppell, Texas and Jessica Senior of Canton. Grandchildren; Jennifer (Alfredo) Smith-Garcia, Michelle Smith, Andrew Senior, Philip (Jessica) Senior, Alec Senior, Nicholas Smith and Matthew Smith. Phyllis was blessed to have six great grandchildren: Isabella, Alfredo Julian, and Iris Garcia; Paige, Siena and Abrielle Senior. She is also survived by sisters-in-law, Ann Campbell and Connie Smith. Many nieces and nephews whom she loved dearly. Phyllis left behind many wonderful friends, whom she greatly loved and admired. A Memorial Service will be held FRIDAY, March 29th, 2019 at 11:00 am at Trinity Lutheran Church, 7595 Middle Street. Clinton, OH 44216 with Pastor Julie Thoms officiating. In lieu of flowers, the family requests memorial donations may be made to the Trinity Lutheran Church.